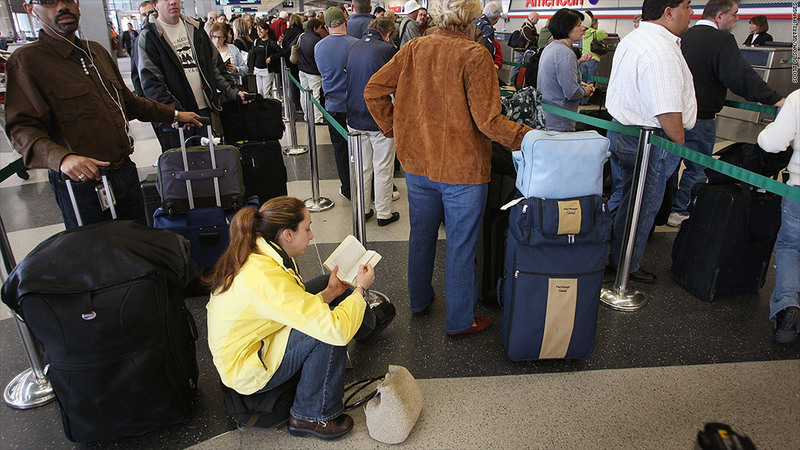 Airport wait times will get longer once budget cuts hit. If you thought airport wait times were long, get ready for worse. How about an extra hour to go through security? And, international travelers, brace for this -- four hours to clear customs? These are likely scenarios at the nation's airports when the much-feared $85 billion of forced U.S. budget cuts hit in March. Many federal agencies -- including those that handle airport security, customs, and air traffic control -- will be forced to furlough employees, which means workers will have to stay away from their jobs for no pay for certain time periods over the next seven months. Secretary of Homeland Security Janet Napolitano told Congress last week that furloughs at the Transportation Security Administration will lead to fewer available officers, and passengers could spend an extra hour getting through security. Similarly, furloughs at the U.S. Immigration and Customs Enforcement will lead to fewer inspectors to clear international passengers. That means it could take up to four hours to get through customs at the busiest airports such as Newark Liberty International Airport, John F. Kennedy International Airport, Los Angeles International Airport and Chicago O'Hare International Airport. "Such delays not only would cause thousands of missed passenger connections, they would have severe economic consequences at both the local and national levels," Napolitano said. The Federal Aviation Administration is also preparing for a $627 million budget cut. The agency warned that most of its 47,000 workforce will be furloughed for one day every two weeks through September, according to a Feb. 11 letter from FAA Administrator Michael Huerta to employees. "The furlough of a large number of air traffic controllers, technicians, and aviation safety employees would require a reduction in FAA services to levels that can be safely managed by remaining staff," he wrote. The timing is particularly bad. The furloughs will likely start taking effect in late April and early May, right before the beginning of the busy summer travel season, said Dan Stohr, spokesman for the Aerospace Industries Association. "You're going to see tarmac delays, longer lines getting through security, flight delays and fewer flights," Stohr said. FAA's Huerta also warned of "travel delays and disruptions," during the critical summer travel season. A trade group representing airlines said that federal officials have assured them that the skies will remain safe. 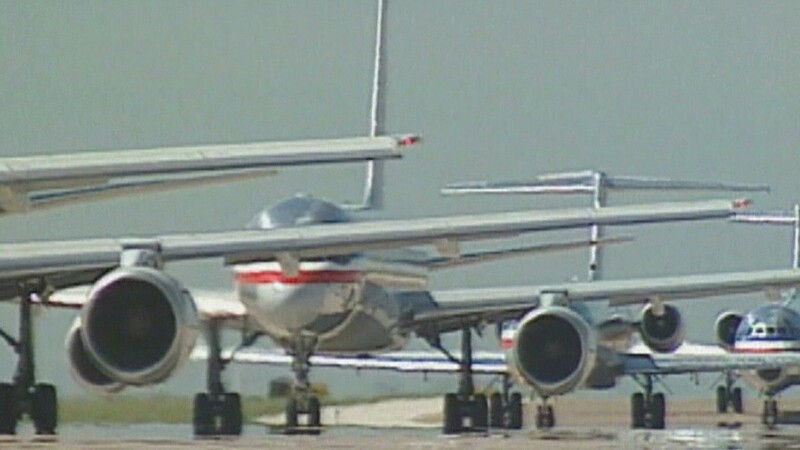 The airlines are lobbying Congress and the White House to find a solution to avoid the cuts. "In this still difficult economy, with the busy travel season a few months away, the traveling public deserves responsible action from Congress and the Administration," said Victoria Day, spokeswoman for Airlines for America.